Honorable Supreme Court of India's division bench has explained in their judgement dated 5th July 2016 that marriage certificate issued by the religious institutions like church, temple, karayogam , mahal committee etc. would not be bearing any legal validity.Foreign countries too would not accept these marriage certificates.So common marriage registration is compulsory. You should visit the local self government body's office where the marriage was conducted. 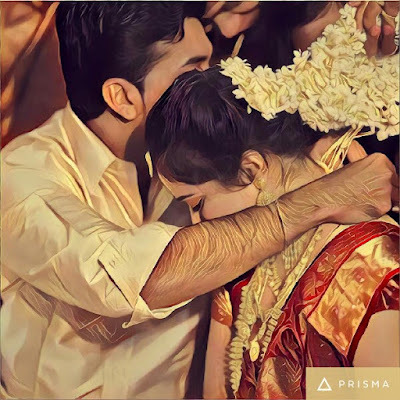 My marriage was conducted at Ettumannur , Kottayam, two hours away from my home. I had to go there to register my marriage along with my wife. The marriage certificate was collected my my brother later.Had to go three days to get that done. Marriage registration takes place between 10 am and 3 pm at Gramapanchayath / Municipality / Corporation offices.The procedures would be different according to the difference between the date on which you are applying and your wedding day. Law demands you to register your marriage within 45 days of marriage. Submit Completed application on prescribed format in duplicates along with the photos of the couple pasted and certificate issued by the religious body (not mandatory), copy of the wedding invitation (not mandatory), two photo copies of SSLC Book or passport or voter id card to prove age. Application fee is ten rupees. The husband and wife should visit the local self government where the marriage would be registered with two witnesses. The witnesses should have identity proofs with them. You will get the certificate within five days. Sometimes you will get it the same day itself. If you are applying for the marriage certificate after 45 days of marriage and before 5 years, your application and it's copy should be attested by a gazetted officer, mla, mp or grama panchayath member.Additionally one need to furnish the reason for delay in marriage registration on a seperate white paper affixed with court fee stamp of Rs 5.Rs 100 would be collected as fine. The paperworks are going to be more tough if the registration is done after 5 years of marriage.Application should be with the permission of Registrar General.Fine would be Rs 250. Registrar General would be the Deputy Director in Panchayath, and Urban Affairs Joint Director in Municipality / Corporation. government body office along with the requisite fee. Use form number 2 if you are registering the marriage after 45 days.